Easter! Spring has arrived- or has it? 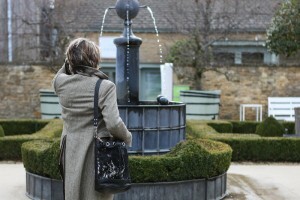 I recently got into the spirit of Easter on a trip to Daylesford Farm in The Cotswolds. 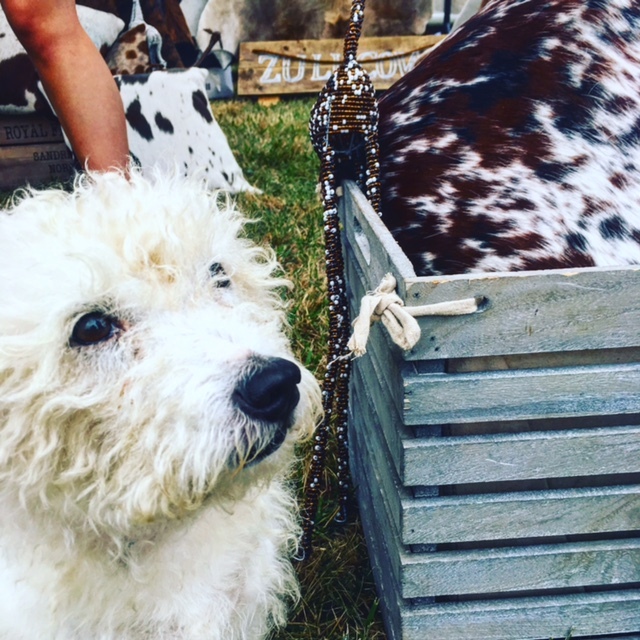 I’ve always loved the ethics of Daylesford: its sustainable, organic farming, producing local produce; supporting British farming and creating jobs. 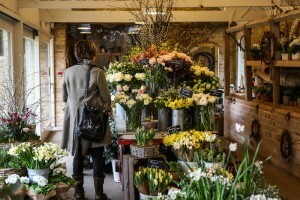 I particularly loved the Daylesford Garden shop with its fresh, locally grown, seasonal, cut and potted English country flowers. 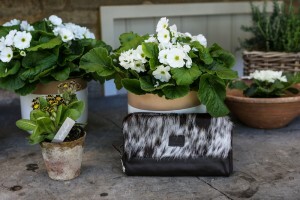 Primroses, Primulas, Pansies and a Zulucow Cowhide Clutch/Purse – what a sublime combination! 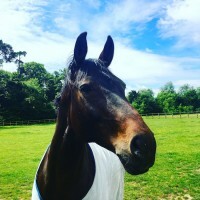 I could have spent hours in the beautifully converted barn (or are they stables with their hay racks?) festooned in delicately scented Spring blooms. I spent a relaxing afternoon mooching amongst the pots and planters; was tempted to slyly slip a few cuttings into my hands-free Zulucow cross-body bag! 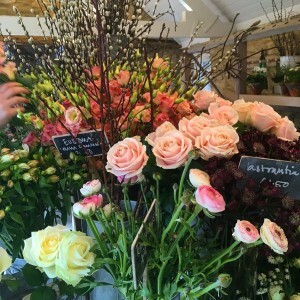 The subtle hellebores and bright pink ranunculus caught my eye, but I managed to refrain! Whilst wondering through the tranquil Daylesford garden, I spied the oh so tempting, ‘Bamford Haybarn Spa’. Am planning a speedy return with friends, for a decadent day of relaxation there. I’ll take my larger classic Zulucow Cowhide Slouch Bag With its polished take on slouchy hobo styles, this spacious bag is perfect all those spa day essentials. 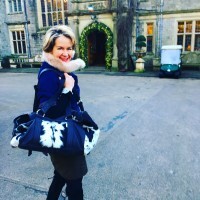 But this time, I settled for a few relaxing moments by the fire, with my smaller, hands-free Zulucow Cowhide Clutch Cross-body bag perfect for a spot of shopping. Looks like a mac, wellies, brolley and full-on galoshes will be essential pieces of kit this Easter weekend! Zulucow’s smart Weekend Bags are not only gorgeous, dramatic bags and perfect for weekends away; but they are also robust and waterproof too! 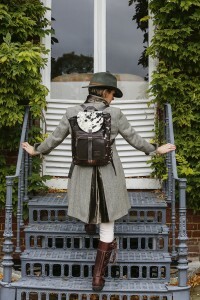 Our smart, neat Zulucow Cowhide Backpacks are also beautiful bags and a great alternative for weekends away, for those who pack lightly – not me! What ever you do this holiday weekend, Happy Easter to you all!